After almost 10 years of research and development, the CuveWaters team headed by ISOE – Institute for Social-Ecological Research presented its results on integrated water resources management in Namibia. The complex supply system was implemented at different sites in the Cuvelai-Etosha Basin, whose population is heavily affected by climatic extremes such as flooding and persistent periods of drought. 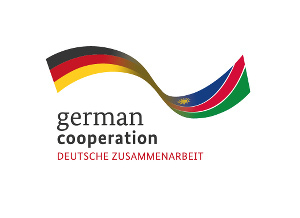 In collaboration with the Technische Universität Darmstadt, partners in the field and local Namibian partners, it was possible to develop and implement solutions to the problem of providing sustainable water supply and wastewater disposal. End of November 2015, the research team handed over the last project sites to the Namibian partners, thus ending the CuveWaters project funded by the Federal Ministry of Education and Research (BMBF). 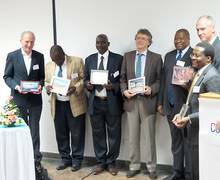 On November 25th 2015 all partners were invited to the CuveWaters Closing Ceremony in Windhoek. The project partners from Namibia were convinced by the enduring success of CuveWaters. To allow the results from this pilot project to be used for other semi-arid regions the project team has made its extensive results available on this website. Sharing our knowledge is an essential part of the CuveWaters philosophy. With the end of the project the CuveWaters team would like to thank all its partners for ten successful years.